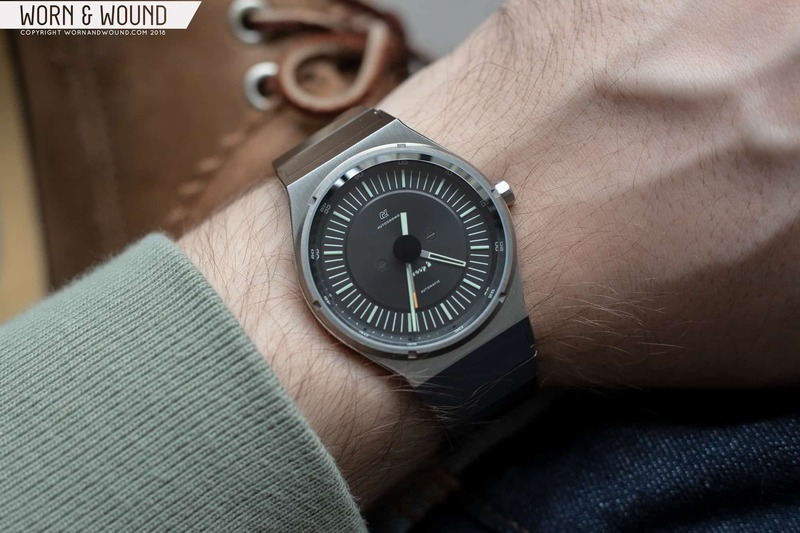 Autodromo’s ’80s-inspired Group B has long been my favorite of the brand’s watches. Late last year, Autodromo announced the Series 2, which ushered the triumphant return of the Group B, but with two major modifications—the lugs are no longer fixed, and now the watch comes with a killer steel bracelet. Before I get started, I’d like to point out that, outside of the new lug design and bracelet, the Series 2 is largely the same watch as the original Group B. 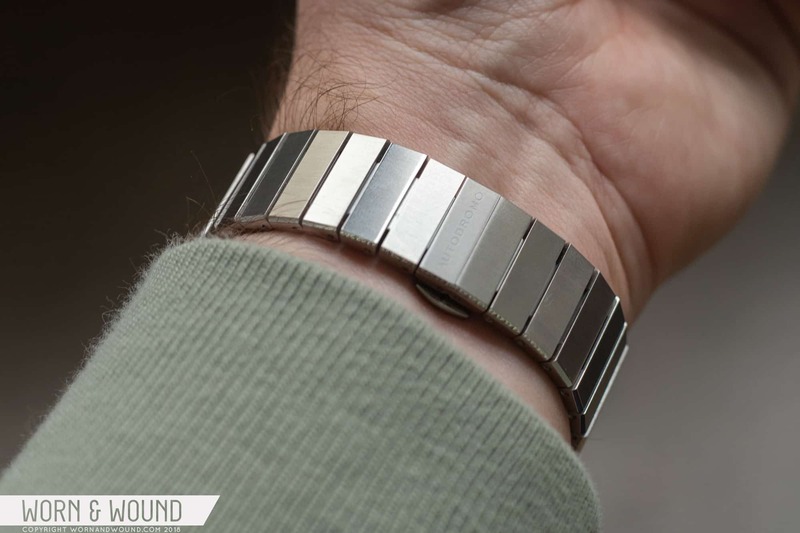 Rather than rehash a review of the Group B (be sure to check out our Group B review from several years back if you’d like a rundown on the watch), I’ll instead focus this review on the bracelet. The impact of the bracelet cannot be overstated. It really does change the way the watch looks on the wrist, and, in my opinion, it actually gives the Group B more of a retro vibe than its predecessor. If Genta and Giugiaro produced a horological lovechild, then this would be it. The Group B Series 2. Let’s start with how the watch wears. The fit is largely the same as the original Group B. Don’t let the 51-millimeter lug-to-lug fool you or scare you away. Thanks to the downturned lugs, this watch doesn’t wear like it’s 51-millimeters long—at all. 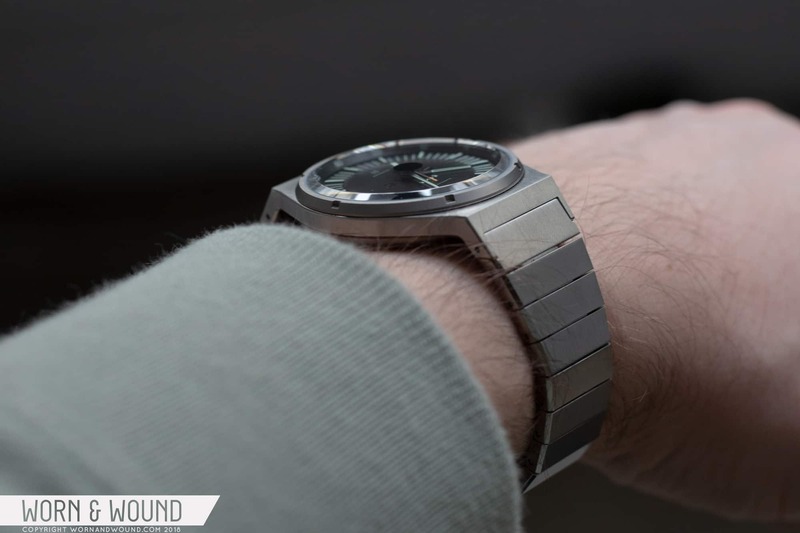 The case sits close to the wrist, and the bracelet, integrating almost seamlessly with the lugs, wraps around the wrist comfortably and in a way that downplays the dimensions. I was initially a bit worried about the slatted design because I have relatively hairy wrists, and I’ve had issues with similar bracelets in the past. I love the look, but slatted bracelets just tend to pull on my wrist hair, and I imagine that’s why they’re relatively uncommon today. It’s surprisingly not a problem here. …and how they just wrap around the wrist. I adore the way the bracelet catches the light. 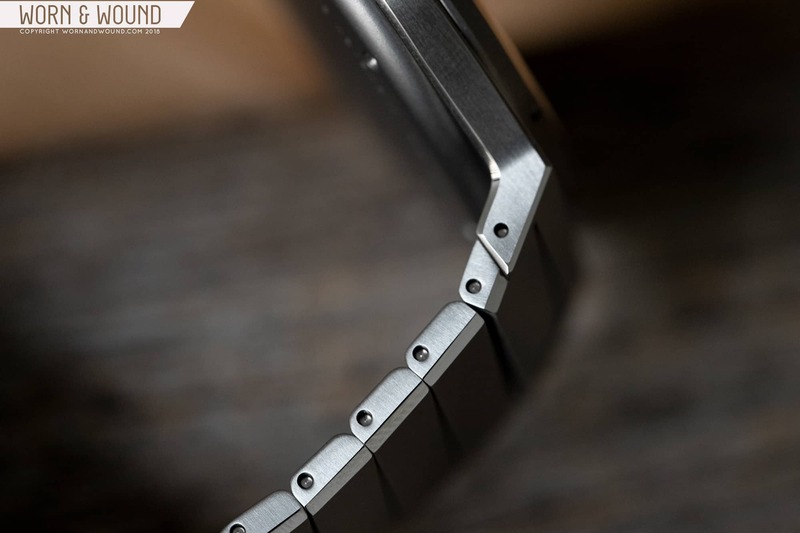 Though the lug width is 20 millimeters, the bracelet actually measures 23 millimeters at its widest point. This creates a clean line from the outer edge of the lugs down to the to bracelet, mimicking an integrated design without suffering from any of the shortcomings of one. The bracelet tapers from 23 millimeters down to 18 millimeters after the fourth link, which gives it more of an elegant look overall. One of my favorite details here is how flat each slatted link is, and how that flatness, coupled with the satin finish, allows the bracelet to play with the light in dramatic ways. Turn the wrist slowly and the links begin to catch the light, with the highlights jumping from one link to the next as you twist your wrist. It’s kinda of blingy, but in a really cool way that doesn’t feel garish. The links are connected via split pins, and arrows on the underside of the bracelet let you know which way the pins come out. If you look at the bracelet in profile, you’d be forgiven for thinking that each link is removable given that there is a pinhole on each link, but that’s not the case—only the links with the arrows are. I imagine these pinholes are here to maintain aesthetic continuity from link to link. Speaking of sizing, there is no way to micro-adjust here, which for some might present a problem. I was able to find my goldilocks fit without issue. Note the polished bevel along the edge. Despite having holes, you can’t remove the topmost links. “Autodromo”-signed slat at the clasp. Of course, the bracelet is only half the story. Without fixed bars, you can go to town swapping straps on the Group B—but with one caveat. You can’t use some overly thick straps because you may not have enough room to clear the case, so thinner straps are the way to go here. I’ve also found that using curved springs bars can help with a tighter fit.